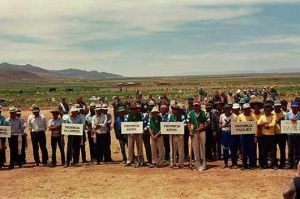 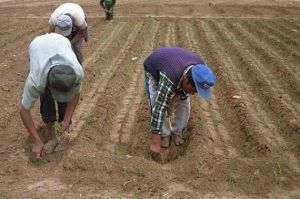 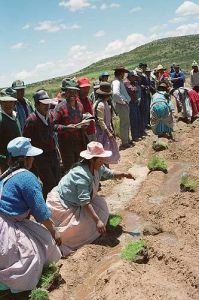 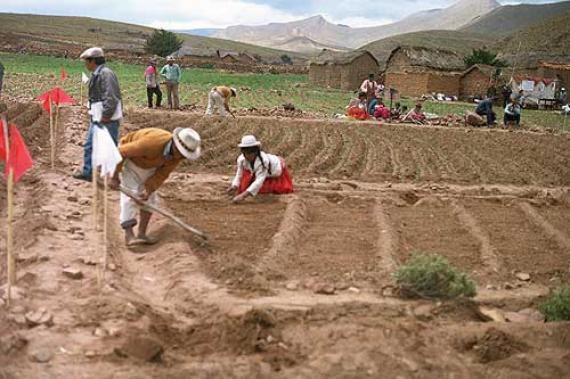 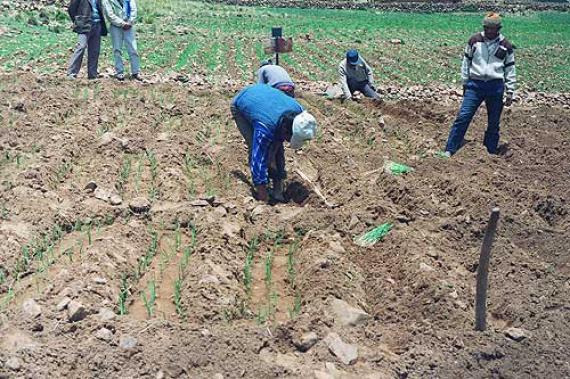 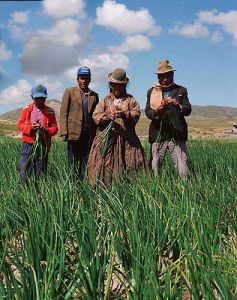 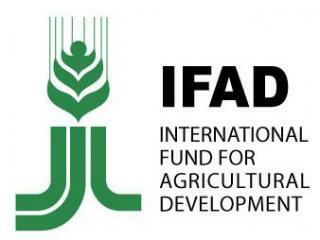 The Program of the Auto development of Farmers – II (PAC-II) is a project financed by the European Union and the Government of Bolivia. 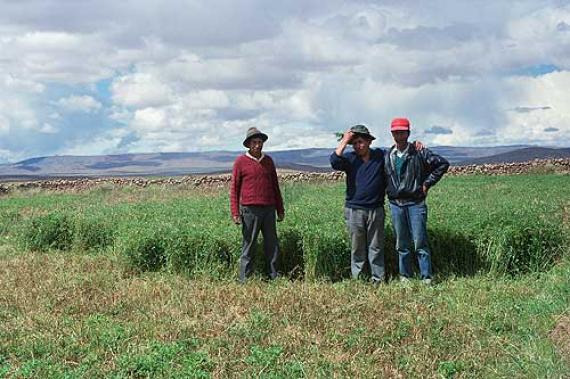 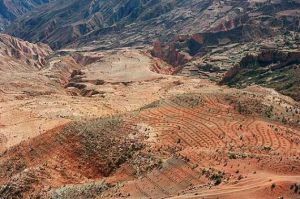 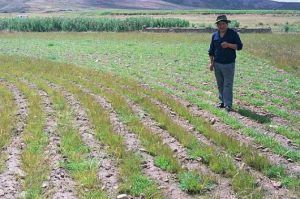 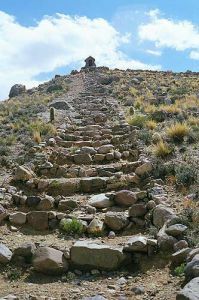 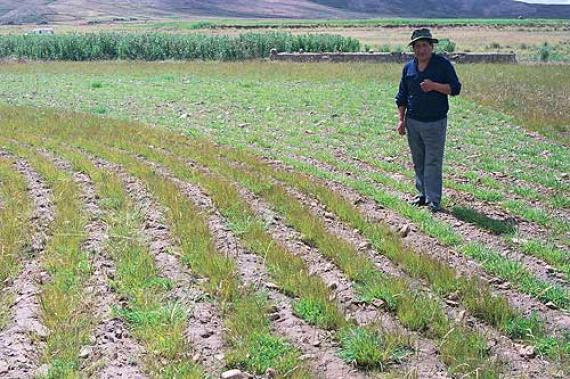 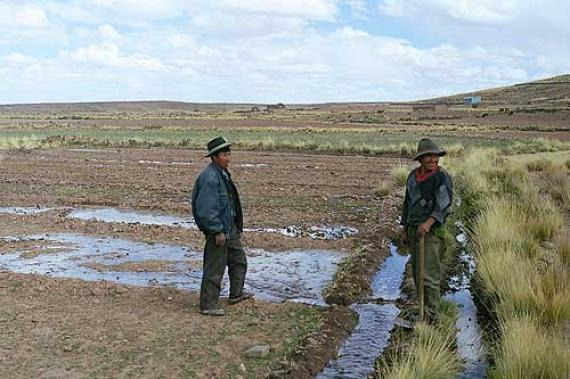 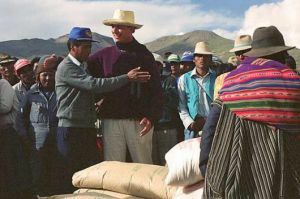 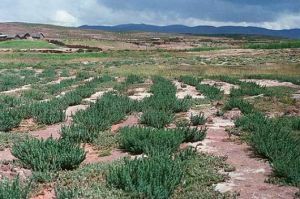 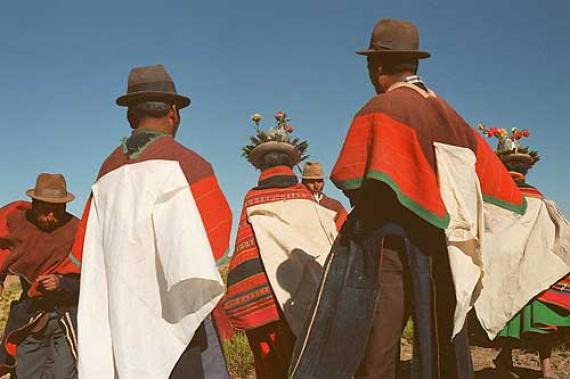 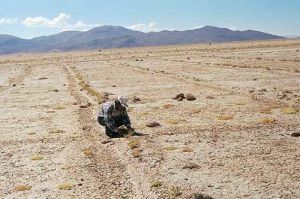 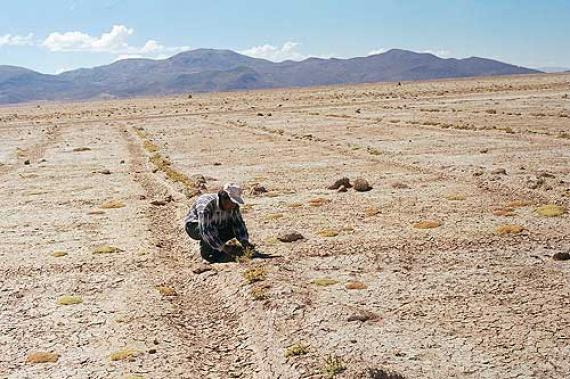 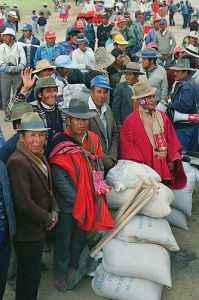 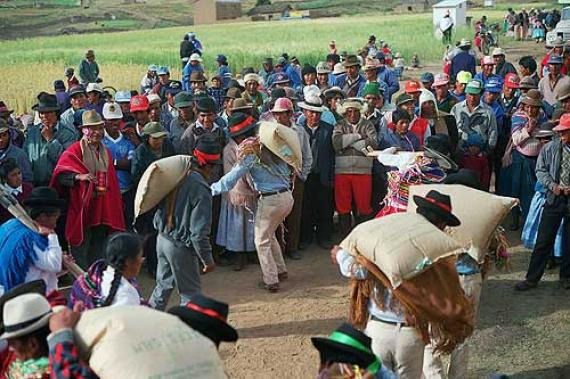 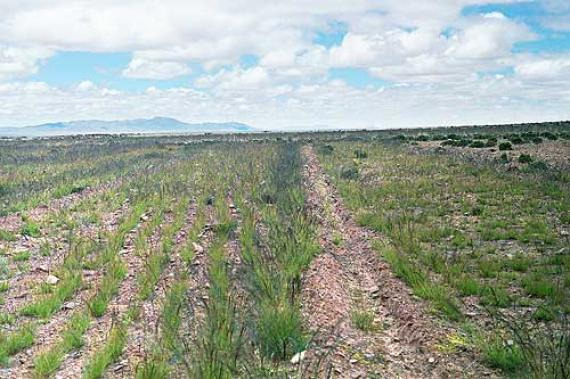 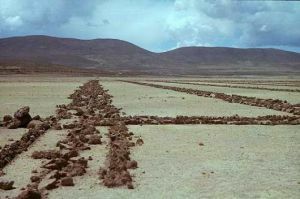 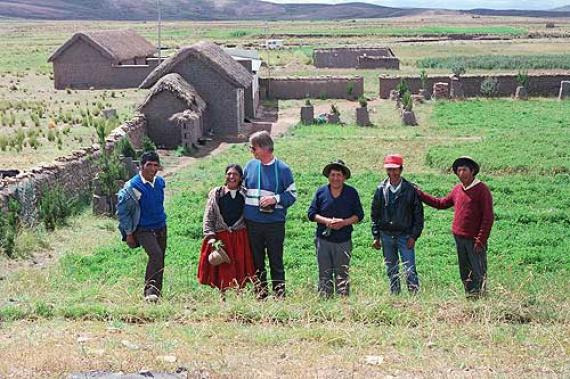 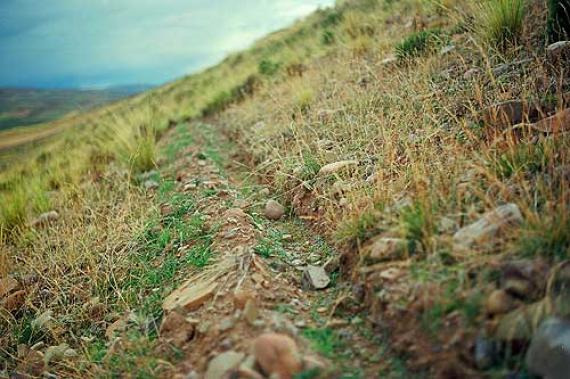 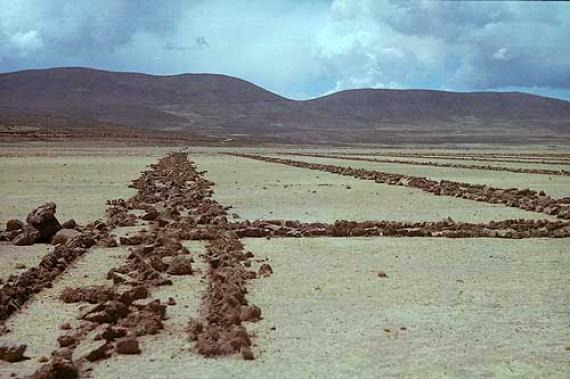 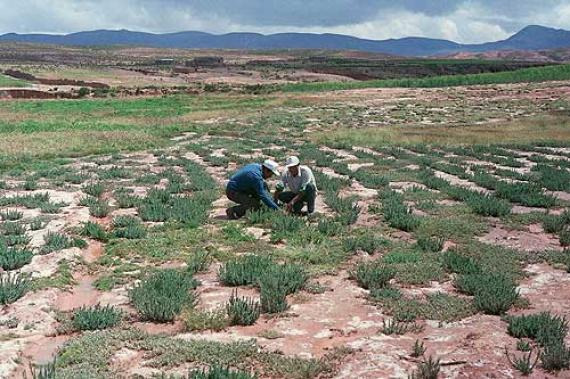 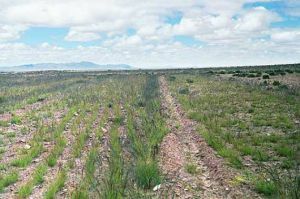 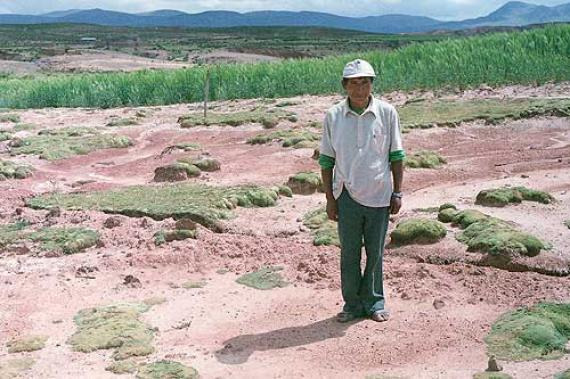 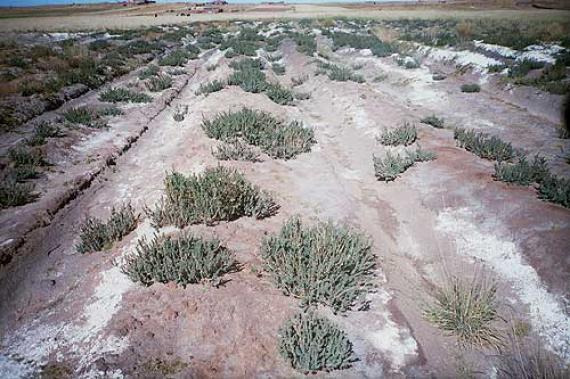 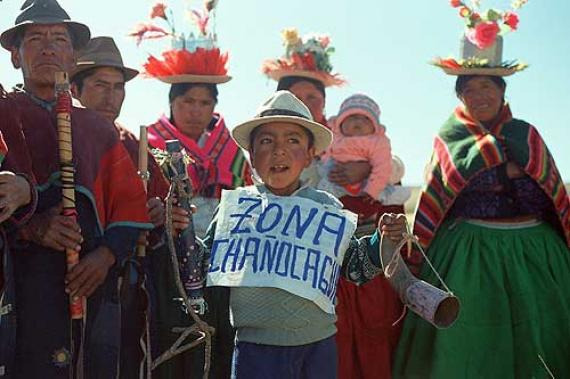 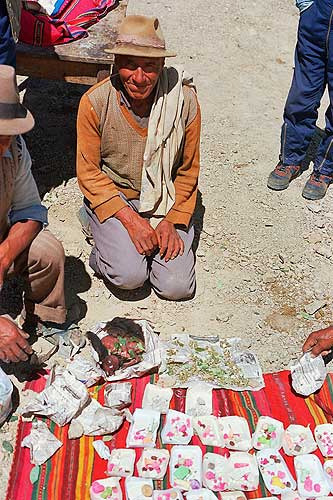 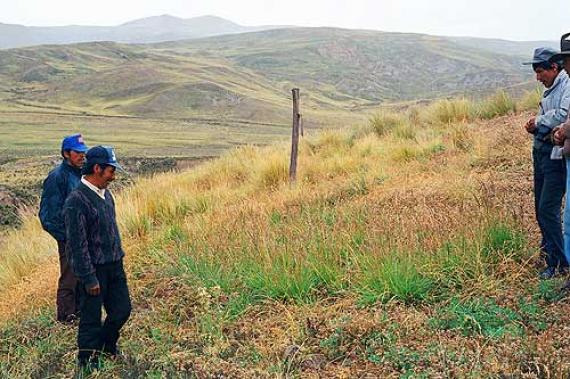 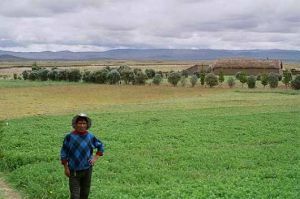 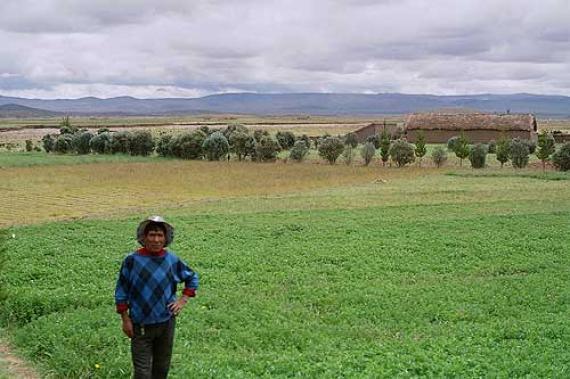 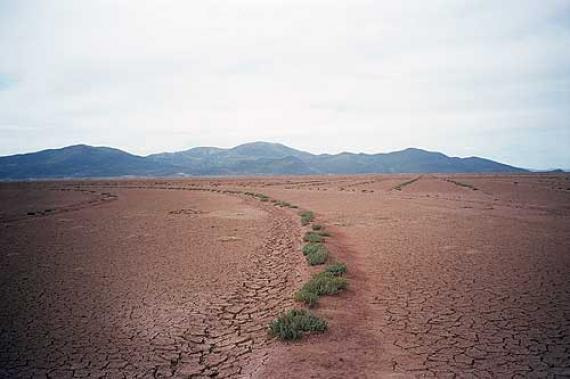 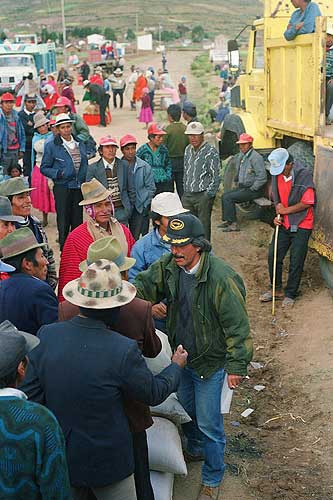 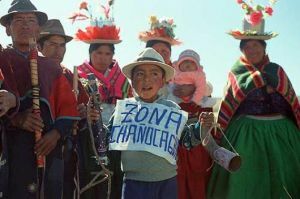 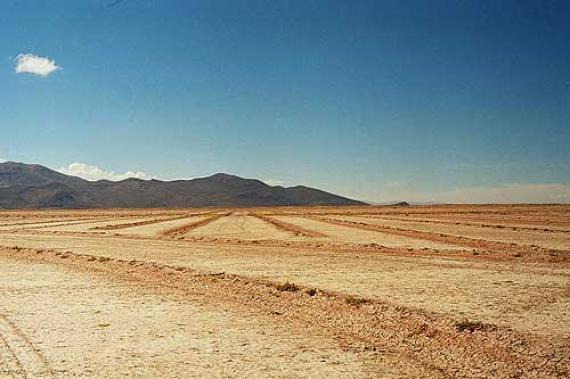 PAC-II started with the use of the Pachamama Raymi methodology in mid-2003, when Willem van Immerzeel was named co-head of the Patacamaya area (a very extensive, high, cold and dry area, in the Altiplano of Bolivia, between La Paz and Oruro). 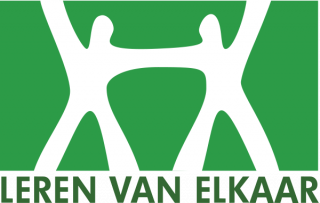 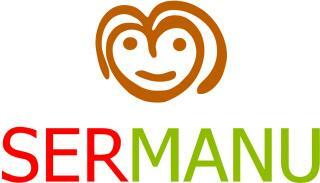 Benefiting from the experience with PRODERM, Willem rapidly prepared a set of documents. See: Contribution of the area of Patacamaya to the Annual Operational Plan (pdf) of PAC-II, and the first profile (pdf) of Pachamama Raymi, with a name chosen by extensionists and Aymará communities: Pachamaman Urupa (Day of Mother Earth). 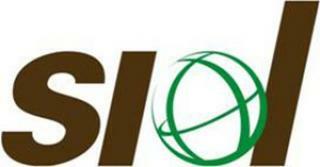 The first contest started in August of 2003, after a period of difficulties to obtain approval for the project. 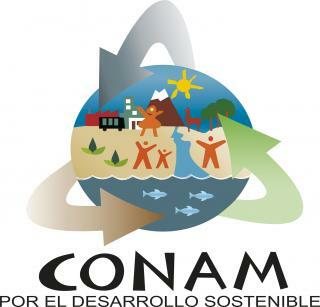 See: Primer concurso PAC-II (pdf). 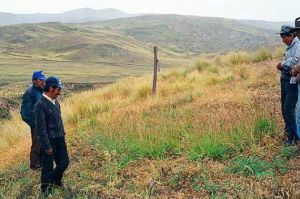 The Pachamama Raymi system of capacitation, as implemented in PAC-II, consisted of a set of elements: (1) Demanding targets (in terms of number of families and the guidance of the to be implemented innovations, (2) the farmer-to-farmer capacitation (also called peer-learning), (3) incentives: mainly contests between families and between communities, (4) transcultural bridges, and (5) an insertion of local organizations. 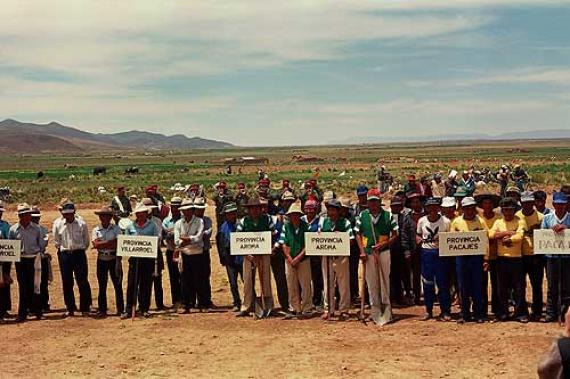 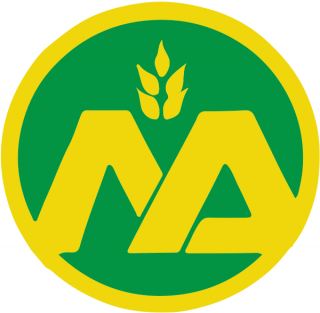 At the time, these local organizations were the farmers unions (central and sub central farmers). 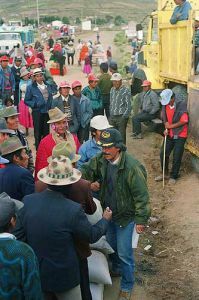 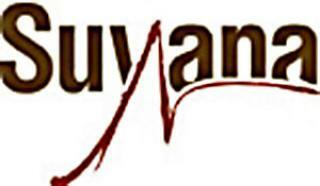 The local governments became relevant later onwards, after a change of government (when de SID-Bolivia continued with Pachamama Raymi). 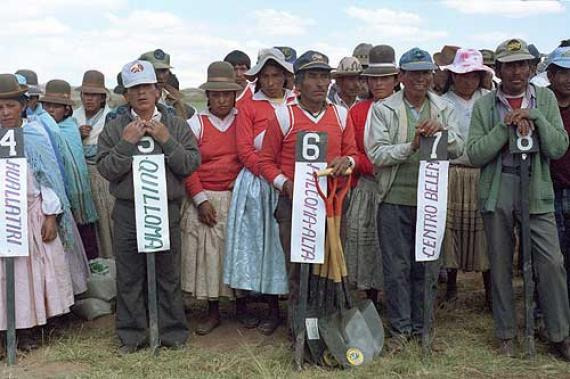 (6) The decision about the allocation of some of the project´s resources (the prizes) was controlled by the people, as this is based on the quality of their management of resources. 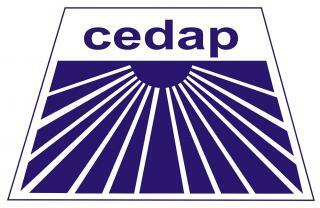 In the case of PAC-II, it was not possible to provide cash prizes. Instead, the prizes were constructions or materials (from barbed wire, tools, alfalfa seeds, to breeding animals). The winners could choose from a list of options. 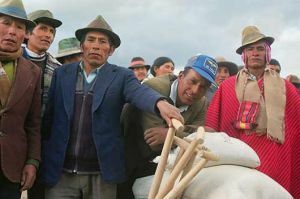 They generally selected “materials”, therefore undermining the program’s work and simplifying the project significantly (as it was allowed to build many constructions, and instead materials were delivered to the population). 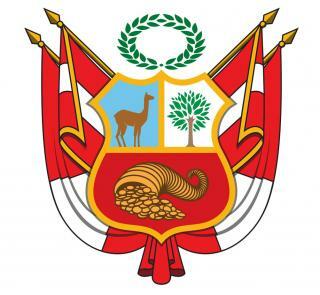 Of particular interest was the sixth element (allocation of the budget according to people`s quality of management of resources), as an alternative to the distribution according to “need”, problems or demands. 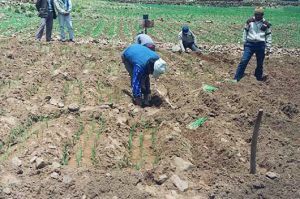 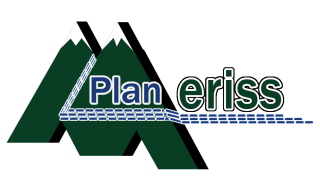 The sixth element generated an accelerated improvement of the quality of management of the natural resources which the project was focused on, while distribution according to “need” ultimately was contra productive, as it should be aimed to optimize the need. 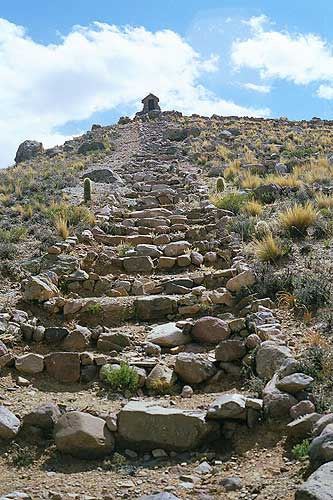 One day, student Luella van Turnhout went to PAC-II in Patacamaya, in search of a place to conduct research for her study in anthropology at the University of Amsterdam. 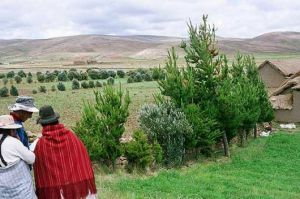 She came when 14 extensionists of PAC-II were just discussing the Pachamama Raymi proposal. 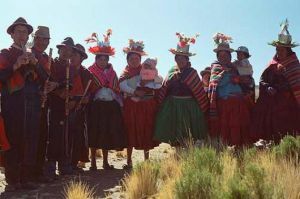 In only a few days Luella convinced them that the proposal was no good, as she believed the contests would generate discordance and tension within the communities. 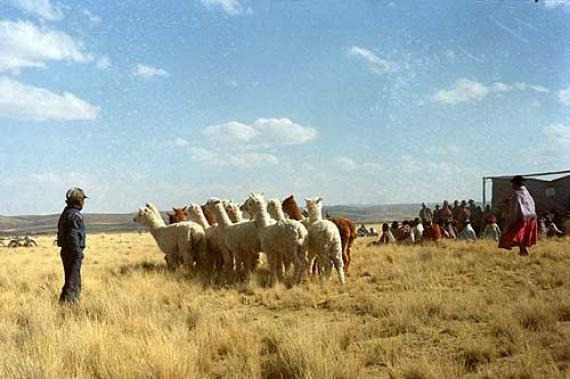 Her opinion mattered much to the extensionists. 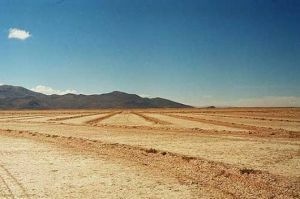 However, during the first year, Luella became convinced of the validity of the proposal, noting the reaction and enthusiasm of the population. 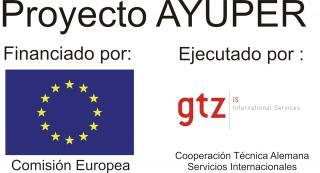 Turnhout (pdf). 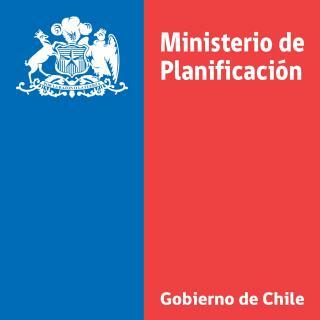 The European Union (EU) organized the “Workshop to identify the supply and demand of capacitation in EU projects” in Latin America (Arica-Chili, 27-28th of March, 1995). During this workshop, they observed that Pachamama Raymi was the most effective system of capacitation the EU used in the region at that time. 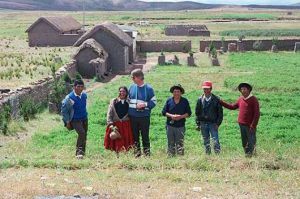 Custom-made by the EU, project PAC-II wrote a manual so other projects (from the EU) would also be able to benefit from their experience. 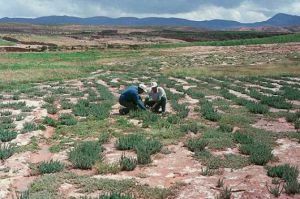 Once PAC-II was finalized, the work was continued as POST-PAC. 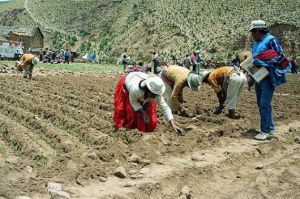 The title of the manual is: Pachamaman Urupa, a system of farmer-to-farmer capacitation of the management of natural resources, June 1995. 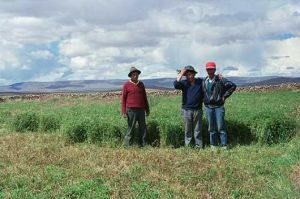 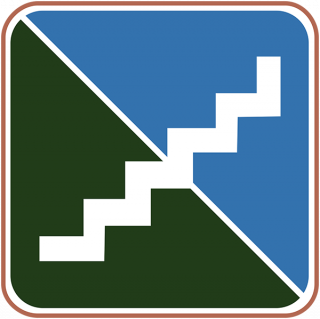 RURALTER (pdf), also published a manual based on the experience of PAC-II. At the end of PAC-II, it was decided to organize POST-PAC, using the Pachamama Raymi methodology. Moreover, besides PAC-II, which operated in the department of la Paz, other PAC projects existed (in Oruro and Potosí). 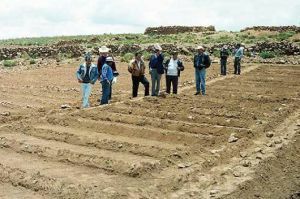 Under Post-Pac, these other projects also used the Pachamama Raymi methodology. 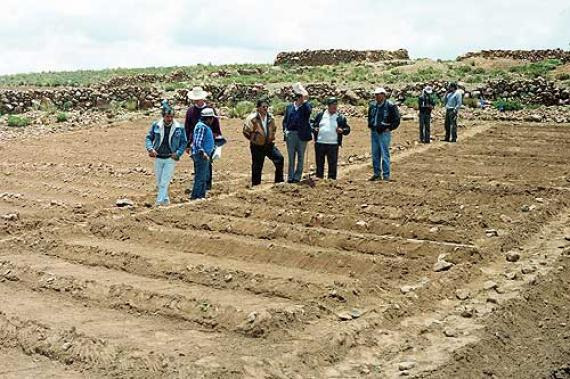 The scale at which Pachamama Raymi was used in EU projects was never again surpassed.